All IELTS candidates benefit from feedback on Speaking and Writing. In this episode, I share the best advice from a recent Power Hour, in which 3 students and I had a one-hour session together. The goal of this class was to get specific feedback on their IELTS Task 1 essays and their IELTS Speaking answers. After the class was finished, I thought I’d share the most important tidbits with all of you! You MUST have an overall trend! Don’t include ALL the numbers from the graph(s) in your essays. This will actually lower your score. Choose only the most important numbers and organize them in a logical way. Your essay should have 3 paragraphs– introduction, and two body paragraphs. Include transition phrases at the beginning of your body paragraphs. You’re not talking to a friend, employer, or teacher. 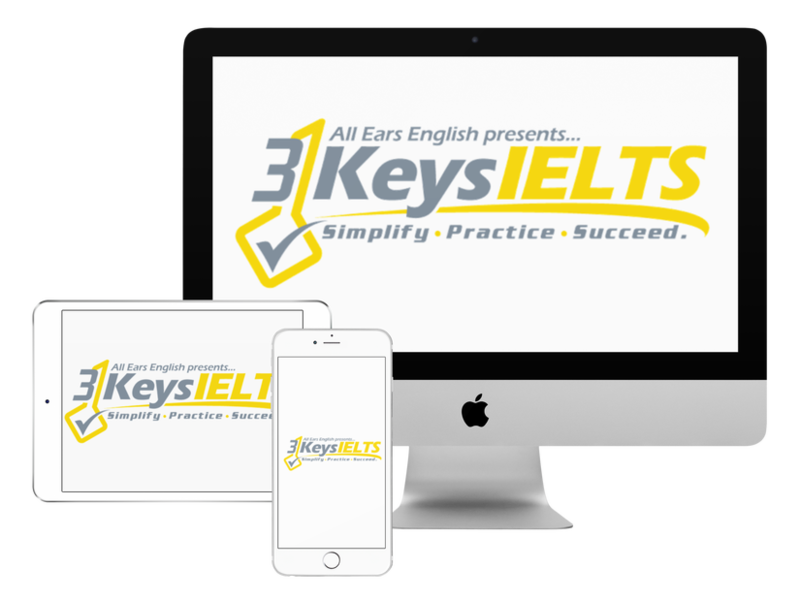 The IELTS exam is a unique situation, and the examiner is looking for unique things. One of these unique things is that you must use high-level linking words in Speaking Part 3. Be specific! When describing a novel, for example, give a lot of specific details about the story. This improves your fluency, vocabulary and your pronunciation. Use a thesaurus for learning new synonyms. What did you think of today’s show?